Notes: From the J. Olphin Collection. Ex Triton III (30 November 1999), lot 359; Tom Virzi Collection (photofile), 2090.Aiolos was the god of the winds in Greek mythology. He was associated with the group of islands between Sicily and Italy, which were appropriately named the Aiolian Islands, of which Lipara was the largest and most important. 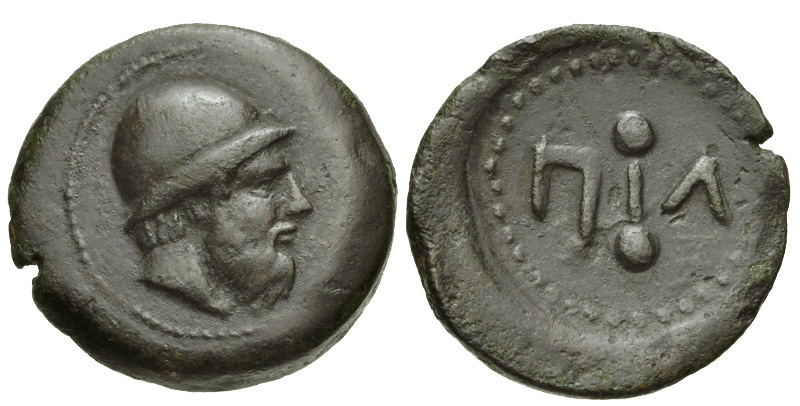 In fact, Aiolos himself supposedly resided on the island of Lipara, hence his representation of their coins.